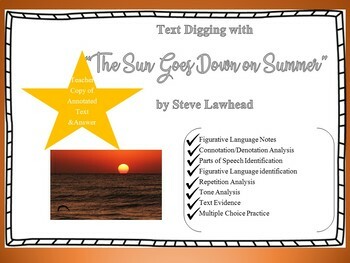 Close Reading "Text Digging" with "The Sun Goes Down on Summer"
This lesson has multiple layers to "peel back" to help students learn the process of analysis in poetry. 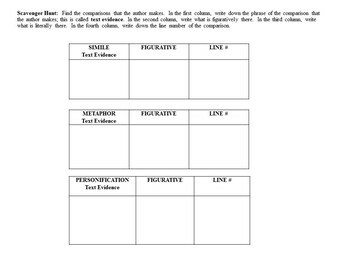 They will practice identifying parts of speech, examples of figurative language, and analyzing the effect of repetition. 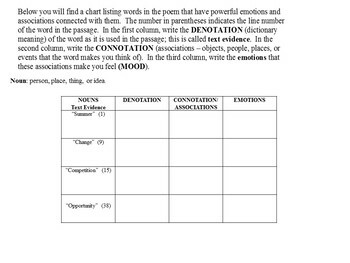 This lesson integrates word study throughout the identifying and analysis of the poem. The best part? This poem is written FOR STUDENTS! 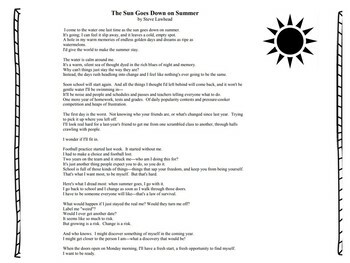 Steve Lawhead's poem "The Sun Goes Down on Summer" is written from a student's perspective of leaving summer and returning to school in the fall, however, he is not exactly excited about it. Students will identify with many of the struggles found in the poem and be a memorable lesson for them. BONUS: GO TO MY STORE AND DOWNLOAD FOR FREE THE JOURNAL PROMPT THAT PAIRS PERFECTLY WITH THIS LESSON!!!! ****This lesson can be used for any secondary grade level, but it is best used in the beginning of the year for 9th graders.